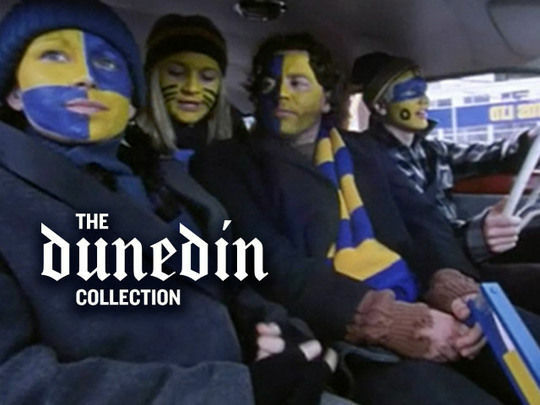 NZ On Screen’s Dunedin Collection offers up the sights and sounds of a city edged by ocean, and famed for its music. Dunedin is a bracing mixture of old and new: of Victorian buildings and waves of fresh-faced students, many of them carrying guitars. As Dave Cull reflects in his introduction, it is a city where distance is no barrier to creativity and innovation. This 1982 Radio with Pictures report surveys the Dunedin music scene, and the bands who are starting to be grouped together under the label ‘the Dunedin Sound’. Critic Roy Colbert discusses the influence of punk pioneers The Enemy and Toy Love, and the benefits of being outside fashion. A roster of future Flying Nun notables are interviewed, including David Kilgour, Shayne Carter, and Jeff Batts (The Stones). Martin Phillipps is psychedelic, and Chris Knox dissects the new bands’ guitar-playing style (without using the word "jangly"!). And then there’s Mother Goose. The South Tonight was a Dunedin-filmed regional news show. 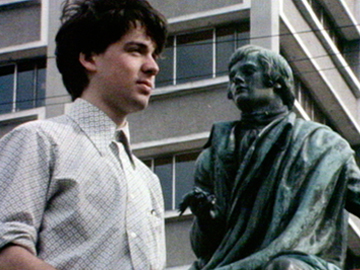 In these excerpts, Martin Phillipps and The Chills return home from London, and find album Submarine Bells is number one; legendary local band Sneaky Feelings play a last gig; Velvet Underground muse Nico plays Orientation Week; a ball is filmed at Larnach Castle for TV series Hanlon; rhododendron nuts ramble at the Dunedin Botanic Gardens, and Jim Mora visits the Danseys Pass Hotel. Finally there’s a survey of dingy student digs circa 1985 (when rents went as low as $14 a week). Former presenter Derek Payne returns to front the finale of this first (NZBC) run of the Otago-Southland local news show. A report on strippers aside, the emphasis in this ‘best of’ series cull is on (often Pythonesque) humour. Highlights include Kevin Ramshaw’s Sam Spade-style private eye hunting Noddy, Payne walking a famous imaginary dog, a search for news in Invercargill and a reporters’ bloopers reel. An era when newsroom staff were learning their medium in the public eye is evoked, and the opening weather report is a glorious look back at TV’s lo-tech past. Fresh off roughly a decade of performing overseas, legendary Kiwi rock'n'roller Johnny Devlin sits down with The South Tonight's Spencer Jolly to talk about his Rock Revival tour of NZ. He recounts stories of past tours, where fans ripped shirts off his back, and notes his 1972 tour has also had its moments — some of the entourage were injured on last night's concert. Devlin seems in two minds about continuing touring: he talks about retiring from it if promoters won't pay for his family to join him. Devlin would still be performing when he toured with Ray Columbus in 2006, 34 years later. 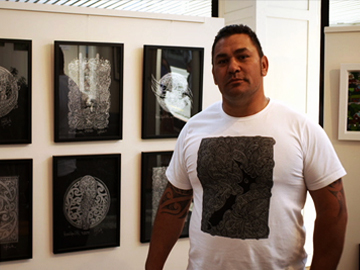 In this series celebrating diversity in Kiwi neighbourhoods, former Highlanders prop Kees Meeuws introduces an eclectic mix of migrants who call North Dunedin home. Meeuws muses that the student-filled suburb "on a clear day, sparkles like the jewel in the crown of Dunedin". A Japanese student enriches his life by volunteering to help an elderly woman, a German jewellery designer explores identity in her creations, an Afghani family celebrate New Year's Day with a feast, and an eighth generation Indonesian puppet master shows off his snake-shaped dagger. Kiwi music legends Toy Love are credited with leading the NZ post-punk sound, delivering a sonic flare from 1979 that scaled charts and smashed Sweetwaters watermelons, before the love ended on a late 1980 NZ tour. 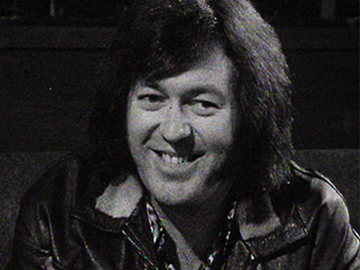 In this February 1980 interview for regional show The South Tonight, the band is seen in their Dunedin hometown, preparing for a show at The Captain Cook Tavern. Reporter Keith Tannock asks Chris Knox what he’s rebelling against as the singer chugs a double-barrelled ciggie, and casts shade on boring pub rock music. The band would shortly depart for a stint in Sydney. It's in the Bag was a travelling television quiz show, fronted by Selwyn Toogood. Competitors were selected from the audience and had to answer three questions before they could select a bag and bargain for its contents. Toogood's catchphrases, such as, "by hokey!" and, "what'll it be customers, the money or the bag? ", have become part of folklore. 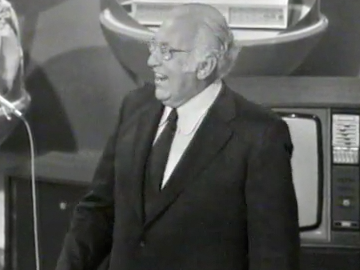 This episode from 1 June 1974 was telecast from Dunedin's Mayfair Theatre. A Frigidaire ("jet-o-matic") Home Laundry and Pye hi-fi system are on offer amongst the booby prizes. Heather Eggleton is the glam bag lady. 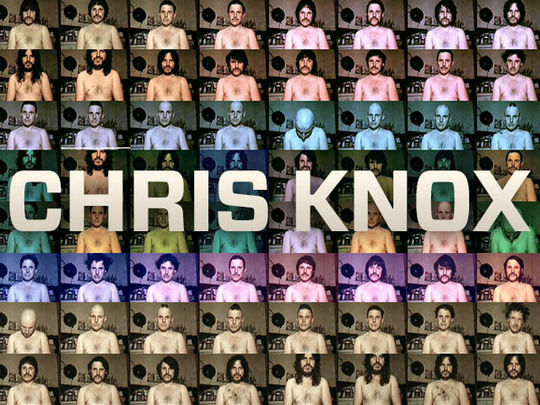 Low-tech legend Chris Knox is an accomplished musician, cartoonist, critic, filmmaker, and jandal wearer. As this collection demonstrates, his genius takes flight in the DIY aesthetic of his music videos. As Flying Nun founder Roger Shepherd says in his backgrounder, “this is a unique and important collection of work perfectly illustrating what is possible with the barest of resources and a free-wheeling imagination”. Russell Brown adds his view here. Alongside music videos, the collection also includes interviews with Knox and profiles of bands Toy Love and Tall Dwarfs. 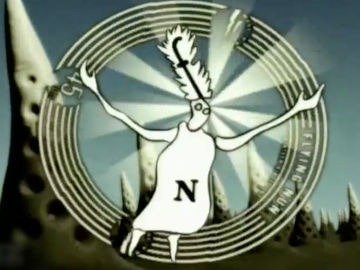 This documentary tells the story of the legendary Flying Nun music label up to its 21st birthday. The label became associated with the 'Dunedin Sound': a catch-all term for a sprawl of DIY, post-punk, warped, jangly guitar-pop. The Guardian: "[it's] as if being on the other side of the world meant the music was played upside down". Features interviews with founder Roger Shepherd and many key players, the spats and the glory. The label's influence on the US indie scene is noted, and Pavement's Stephen Malkmus covers The Verlaines' 'Death and the Maiden'.